LED lighting has definitely come of age and all of the lighting in the property uses LED technology. Where the lights are purely functional (e.g. the outdoor floodlights) or offer low-intensity feature lighting the fittings are simply switched with a relay but most of the internal lighting is controlled via dimmers. In general, the dimmable light fittings have embedded LEDs for the actual light output and separate LED drivers (i.e. control electronics) – typically mounted remotely. These all work very well and offer great dimming performance using DALI control. DALI is a a great way to control lighting dimmers – a digital signal is transmitted over a dedicated control bus directly to the LED driver which then sends the appropriate low-voltage waveform to the LED itself. The outdoor light on the balcony is a Nordlux Canto Maxi which takes 2 x GU10 bulbs. While this is installed on the balcony it’s close to the big sliding glass door into the main bedroom and hence it effectively counts as one of the bedroom lights and deserves to be dimmable. Dimming for these circuits is via Aurora AU-DATR400 dimmer units which take a DALI signal and generate a “dimmed” mains waveform. It should be a simple case of installing a dimmable LED bulb into the light fitting. The only big disappointment with the lighting control on the whole project was with the GU10 bulbs for the balcony light. Recognising that dimmable LEDs are still problematic it seemed sensible to stick with the big brands so I opted for some Sylvania GU10 bulbs which appeared to be high-quality (made in Belgium) but which did not perform at all well. The main issue was that the light level would oscillate between the two bulbs a few times a second. They were OK at near full brightness but dimming was a disaster. These worked perfectly and look good. Dimming performance is excellent. I still can’t get used to the fact that they don’t even get warm. I then decided to try swapping the GU10 bulbs in the balcony light for Philips units with equal success. 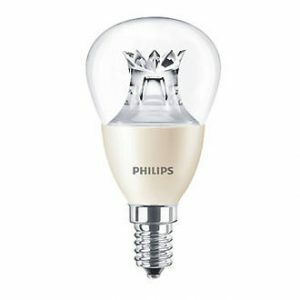 Conclusion: I’m going to be buying dimmable LED bulbs from Philips from now on. Different brands and models of LED bulbs react in different ways and the control technology is still developing rapidly so where multiple dimmable LED bulbs are installed on the same circuit (e.g. several table lamps in a living room) it’s likely to be necessary to buy and replace bulbs in batches – same manufacturer, same model, bought at the same time. The younger, friendlier, confident cat (Thomas, the ginger and white one in a couple of the photos) worked out how to use the PetWalk cat flap on his first day in the house (albeit with a bit of encouragement and demonstration from me). The older, deaf, timid one (Bob, plain black and camera shy) was blissfully unaware of of the presence of a portal to the outside world and has been using a litter tray in the Utility Room (where the cat flap is). When I’ve tried opening the cat flap for him, using the remote control, he’s run away. I don’t know whether he saw the other cat using it or worked it out for himself, but yesterday I spotted him walk up to it, wait for it to open and hop outside as if he’d been doing it all his life.